Sieve the cake flour and baking powder and keep it aside. In wide bowl add softened butter and condensed milk.Mix well. To that add flour mixture and using warm like prepare a thick batter. 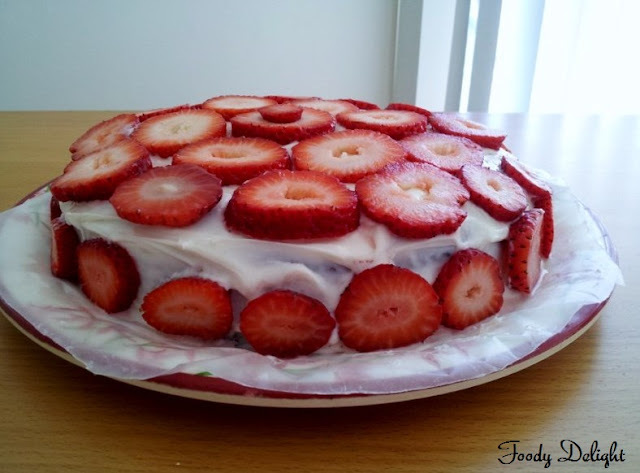 Add vanilla essence and strawberry pieces and fold it into the cake batter. Preheat the oven to 350 F.Grease the tray or line the tray using parchment paper. Pour the batter into it and bake for about 30 minutes. 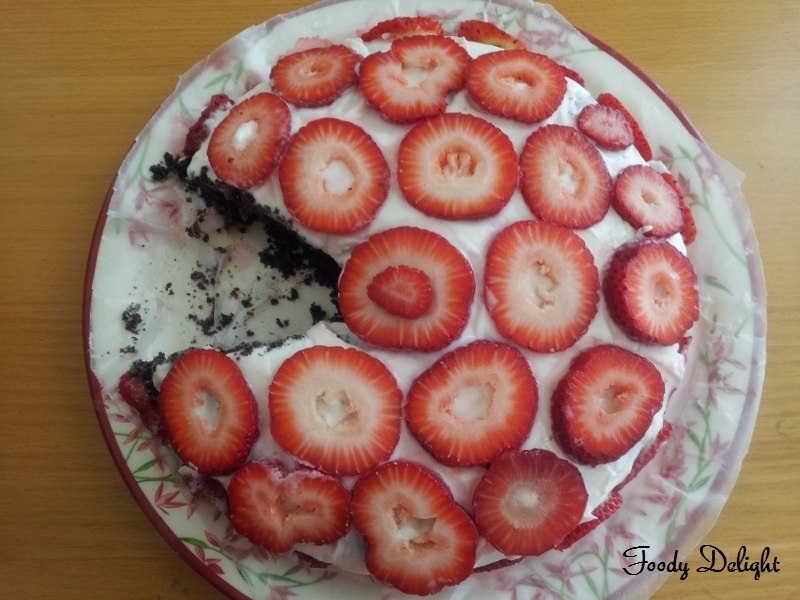 Insert the knife into the cake, if knife comes out clean that means cake is done. Transfer the cake to the cooling rack and keep it for cooling. Lets move for preparation of frosting. Blend the ricotta cheese and powdered sugar. Then add vanilla essence and whipped cream. Do not mix too much.Just folds into it. When cake cools up. Spread the frosting on the cake. Keep the cake chill. It taste delicious. 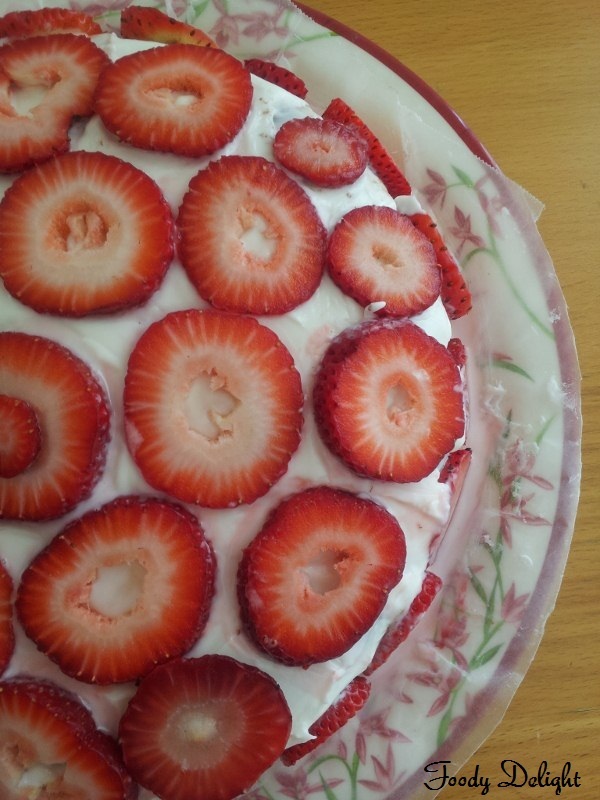 Fresh strawberry ricotta cheese looks delicious. Looks delicious..Happy to follow you! Gosh I'm so glad strawberries are in season right now. Will definitely try it.